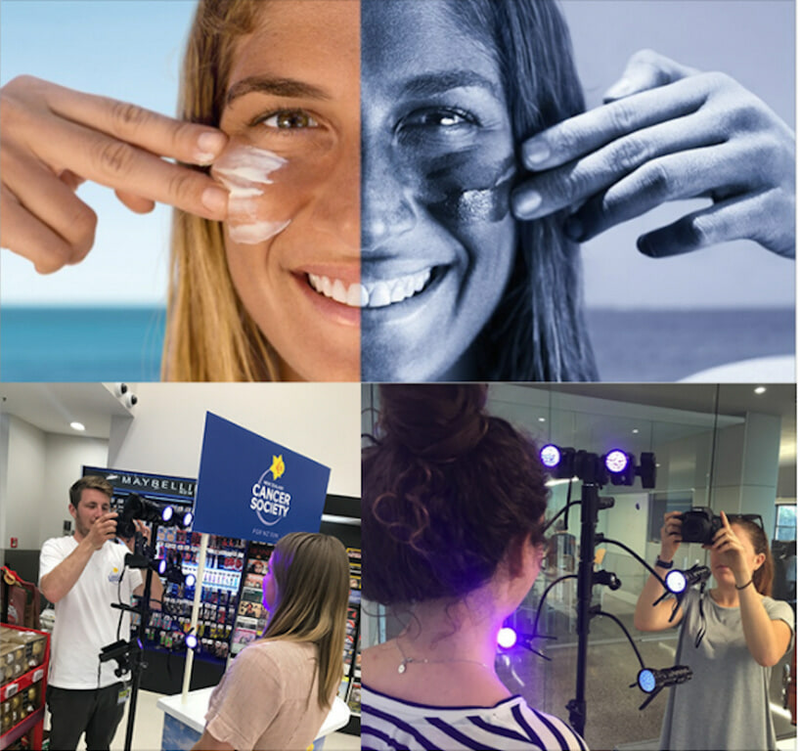 Last summer we worked with MKTG and Cancer Society to show consumers how important sunscreen was - and show visually how sunscreen would protect their skin. We developed an instore UV camera and lighting kit, that applied UV light to consumers faces. We then photographed consumers under the UV light - wearing half a face of sunscreen - and half no sunscreen. The images were dramatic… areas where sunscreen applied look like black paint under a UV light - whilst non protected skin was obvious. The challenge for this brief was to develop a tech solution that (a) worked well in a supermarket environment and (b) was simple enough for brand ambassadors / promo staff to execute. We were proud to deliver a clean/ simple and practical solution that allowed this message to be conveyed to shoppers. The activation was carried out at over 100 Supermarkets nationwide, ensuring the Sun Smart message was delivered to thousands of homes. Even better - Cancer Society Sunscreen sales went through the roof as a result of this effective retail sampling activity. Schedule a free 15 minute consultation to discuss your needs and brainstorm some ideas for your best branded experience. We will be in touch with a quote shortly.